The Social Security Applications filled out by my grandfather's (and their brothers) were the only source of information where I was able to find my great-grandmother's maiden names. Access to these applications may be going away. 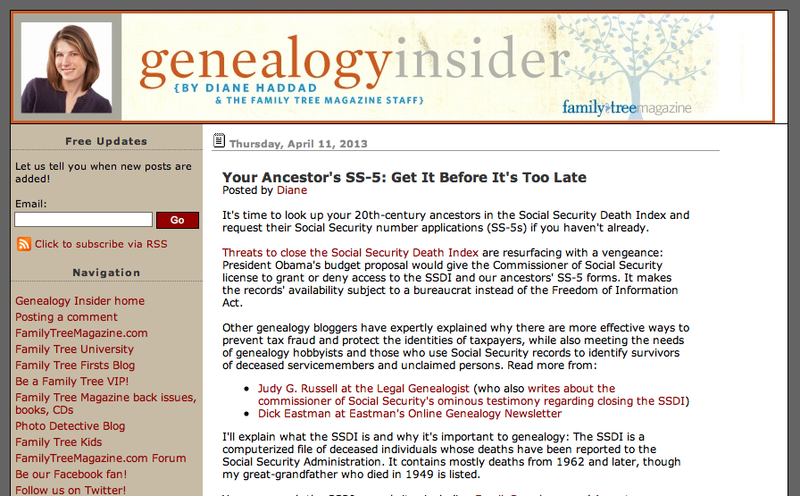 Here is a link to a recent article written by Diane Haddad on the genealogy insider blog. 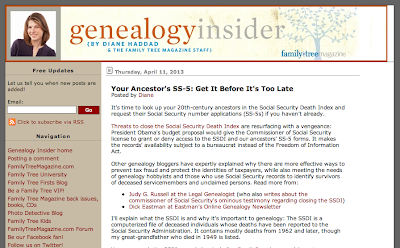 She writes about the current situation, offer's links to other pertinent articles and how to order copies of your ancestor's social security applications (SS-5 forms).